Bremen - It was a bittersweet afternoon at the office for Werder Bremen's last Sunday. The 26-year-old Dutch international ended a run of 48 Bundesliga matches without a goal in notching a well-taken brace, only for comeback specialists 1.FC Nürnberg to rain all over his long-awaited parade. "Of course I'm really happy to have scored two goals," Elia said. "It's great for my self-confidence, but I'd rather have seen us take all three points than score. It goes without saying we should have won the game after taking a two-goal lead, but once we got ahead we stopped playing good football and simply threw the three points away. That's a real shame." The draw, which at one stage appeared the unlikeliest of outcomes, leaves Bremen with just ten points to show for their first seven assignments of the 2013-14 Bundesliga campaign. "It's not enough," Elia lamented. "We have to be taking two more points from these sort of games. A home win would have also been nice for the fans." That it would. After all, die Grün-Weißen have won only once at home this term and while the Nordderby victory at Hamburger SV might have temporarily offset any gripes the Bremen faithful might have with their side's hot and cold start to the season, Elia cannot help but feel the heat rising from the banks of the Weser. "The pressure's always the same, because we're Werder Bremen," Elia explained. "We need to reconnect with the success the club enjoyed a few years ago and to play with that same kind of verve as well. Unfortunately, we only managed that until we were 2-0 up against Nürnberg." 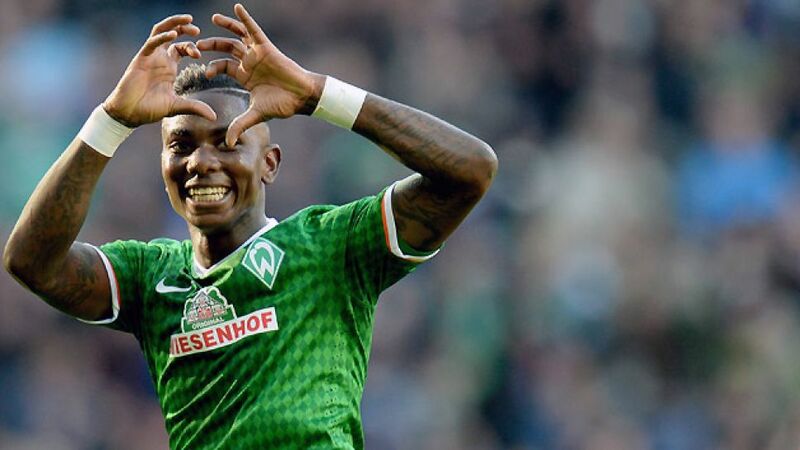 For his part, Elia has responded to the perennial burden that comes with donning the Green-White jersey by putting in a string of strong performances, capped by Sunday's two-goal salvo, that will have reminded the expectant Werder masses there is indeed light at the end of the transitional tunnel. "I always try to move towards the opposition goal and deliver the end product," Elia said. "I'm always trying that in training. It paid off against Nürnberg [...] I'd like to thank him [head coach Robin Dutt] for the faith he has shown in me. I also have to thank my team-mates [...] I'm feeling positive again. Hopefully it'll stay that way."